Over the past few years the cryptocurrency market has emerged seemingly out of nowhere. Today thousands of companies across the world are starting to incorporate blockchain technology and cryptocurrency into their day-to-day processes. As a result, a new wave of technology roles has been created. Since the rise of cryptocurrency there has been an 82 percent increase in bitcoin related jobs. From self-employed entrepreneurs, to startups, innovators and established corporations, everyone is trying their hand in the world of cryptocurrency. 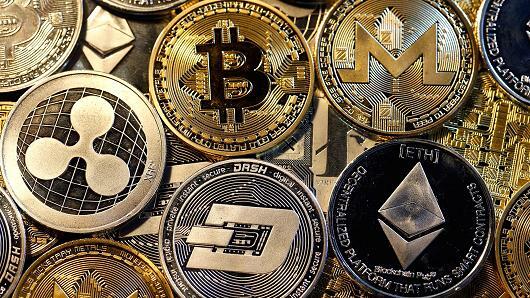 Cryptocurrency has been one of the largest disruptive influences of the last decade. We’ve started to see blockchain developers, data scientists and product managers emerge across a variety of organisations. Cryptocurrency has laid down the roots of a disruptive blockchain revolution. Below we take a look at some of the roles that the cryptocurrency revolution has created. One of the largest reasons for the growth in employment has been the need for blockchain developers. Companies that want to build a blockchain application, or utilize blockchain technology are in dire need of specialist developers to create working applications. In order to produce an industry specific blockchain application an expert developer is required. As a core part of the role, blockchain developers have the responsibility of creating blockchain frameworks and designing completely new applications from scratch. In order to become a blockchain developer you’ll need to have a basic understanding of the technology and fluency in Java, Python Golang or C#. Cryptocurrency acts as a digital product so it’s no surprise that specialist product managers are in demand. For those familiar with cryptocurrency, there is no better role to take on in terms of product development. A product manager has the responsibility of developing a product strategy and bring an intangible cryptocurrency product to market. A product manager is used to identifying the best way to get a cryptocurrency product to the public (with regards to marketing and sales). This means managing the product life cycle and assigning key performance metrics to identify the success of a given strategy. 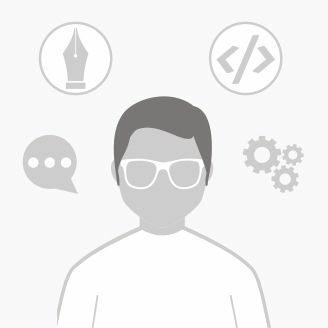 In order to qualify candidates need a degree in computer science and real world experience with product management. When it comes to the finance industry, there has been an overwhelming growth in cryptocurrency trading roles. Just like Forex Traders trade on the foreign exchange, a whole new crop of traders and investors are required in order to conquer the cryptocurrency market. This means implementing tailor made trading strategies in order to drive profitability. In a nutshell, this role is all about implementing and producing trading strategies that make money. In most cases this will involve scouring through mounds of data and compiling market intelligence on how to invest. In terms of technical skills you’ll need fluency in the python programming language, and a degree in computer science (or equivalent technical field). Like all tangible and virtual products, cryptocurrency needs to be sold. This means companies are on the lookout for experienced individuals to handle the sales process. Whether this is finding new clients online or over the phone, employers are looking for candidates with experience within the financial sector or understanding of financial markets. As a sales role, the bulk of a blockchain sales associate’s work will be to make sure that customer relationships are created and maintained on an ongoing basis. This means staff are expected to bring softer sales skills to the table as well as demonstrative knowledge of blockchain and cryptocurrency. Over the past few years, more companies have been on the lookout for blockchain data scientists as well. A blockchain data scientist breaks down all the information generated by their organisation’s active technology and attempts to produce statistical models compatible with blockchain and cyrptocurrency. Wherever there is new technology there is a need for new insights. Just as general data scientists are the go-to for insights to refine industry processes, blockchain data scientists are used to figure out how to leverage blockchain to improve internal procedures. When it comes to blockchain development, there has been a specific demand for smart contract developers. Part of what has made blockchain technology so innovative is its use of smart contracts. These contracts are designed to automatically transfer data or funds once specific criteria have been met. Today smart contract developers are responsible for coding and creating on demand smart contracts that change and verify through the blockhain network when specific criteria is fulfilled. Specialist contract developers ensure that a blockchain application can remain automated and secure. The use of blockchain technology and the emergence of the cryptocurrency market has been one of the most disruptive trends in recent memory. Far from threatening existing employment opportunities, blockchain technology has opened the door to a variety of specialist roles that are starving for new talent. In future we can expect to see more roles relating to cryptocurrency as the field ages and becomes more sophisticated. In the mean time, qualified technical staff and project managers will have plenty of opportunities to learn new skills and integrate themselves into this emerging market.